This antibody may also react to mouse or rat Phospho-Stat3 (Tyr705), as predicted by immunogen homology. 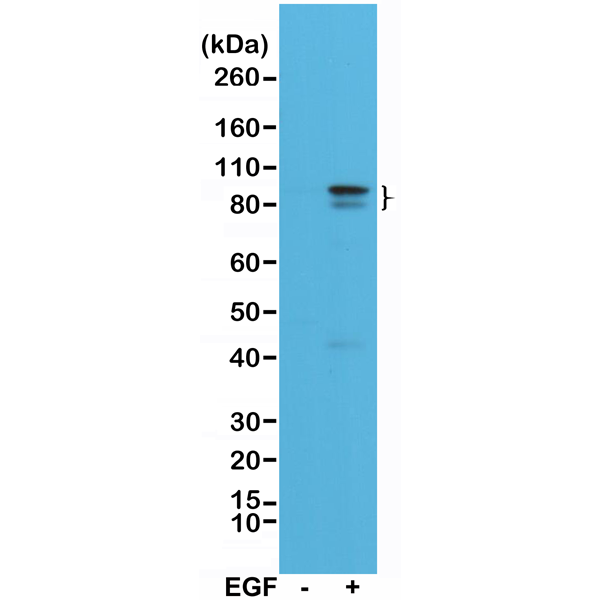 Western Blot of A431 cell lysates, nontreated (-) or treated (+) with EGF, using Anti-Phospho-Stat3 (Tyr705) Rabbit Monoclonal Antibody (clone RM261) at a 1:1000 dilution, showed Phospho-Stat3 (Tyr705) in EGF-treated A431 cells. 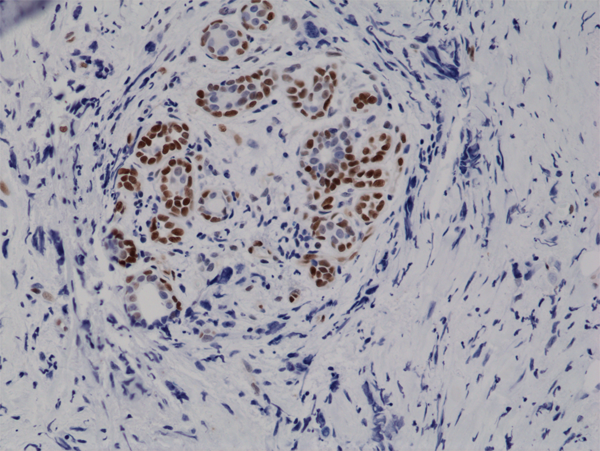 Immunohistochemical staining of formalin fixed and paraffin embedded human breast cancer tissue sections using Anti-Phospho-Stat3 (Tyr705) Rabbit Monoclonal Antibody (clone RM261) at a 1:10,000 dilution.